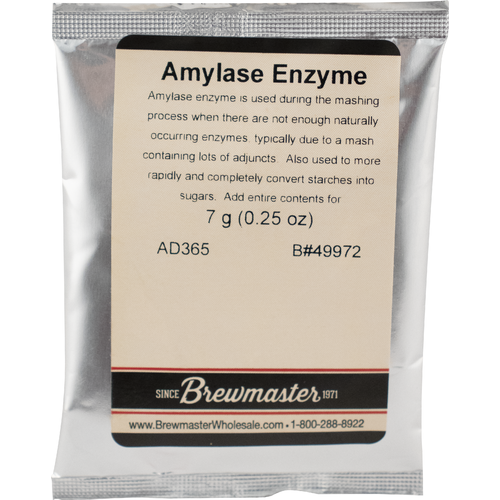 Amylase enzyme added to the mash to more rapidly and completely convert starches into sugars. 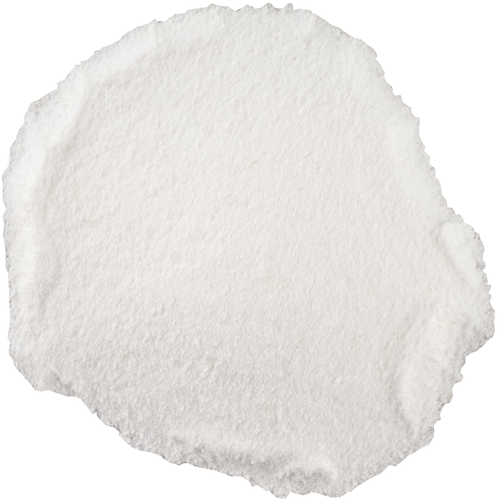 Typical dosage rate is 1/4 oz per 5 gallons. 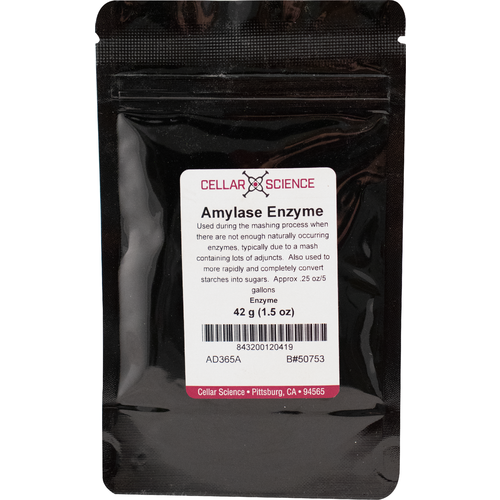 The 1.5 oz size comes in a resealable pouch, which can be stored for later use.